Weymss Bay lies 8 miles south west of Greenock on the Firth of Clyde. Wemyss Bay was and still is very much the consequence of the rail connection to Glasgow (1865) and the regular steamer service to Rothesay (1870). The station and pier are perhaps the most famous landmarks in Wemyss Bay. The Wemyss Bay line was opened in 1865 after a group of labourers, mainly Irish, worked to take the line through the hills to Wemyss Bay. The inaugural rail service was advertised as being superior to the line which served Greenock, as all of the carriages contained seats! Five years later the first steamer service to be run in association with the railway was started. The Wemyss Bay Steamboat Co was incorporated in 1862. The company was established to provide steamer connections from Wemyss Bay for the Greenock and Wemyss Bay Railway Company which was about to open services to the coastal village. An order was placed for three vessels in anticipation of the railway opening, one of which was sold off the stocks at Caird's yard for blockade running in the American Civil War. The first vessel, PS Largs, was launched in September 1864, followed by the larger PS Kyles the following month. The railway opened in May 1865 and the vessels which had been run from Glasgow as an interim measure, sailed to Wemyss Bay from Lamlash and Tighnabruaich to meet the morning commuter service to Glasgow. Daytime services included Rothesay / Kyles and Millport / Largs connections from the railhead. The company went into liquidation in early 1869. 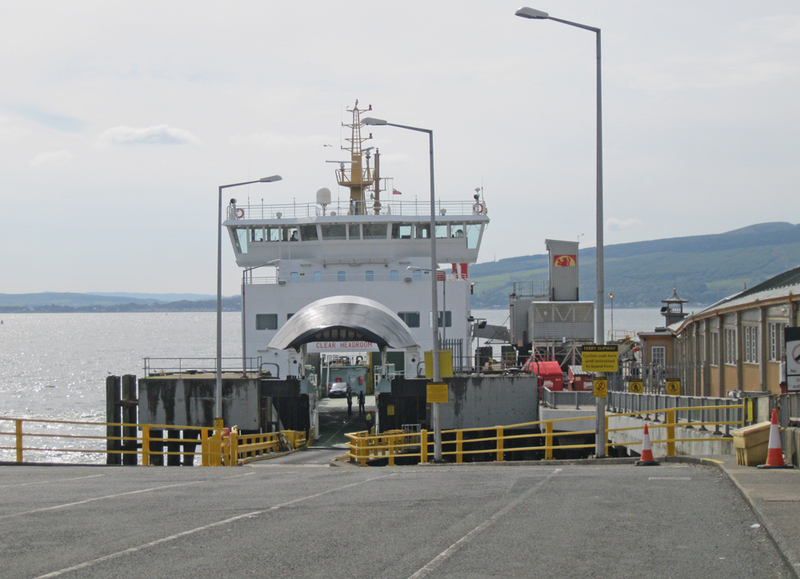 Regular ferries operate from Weymss Bay for Rothesay, on the Isle of Bute.